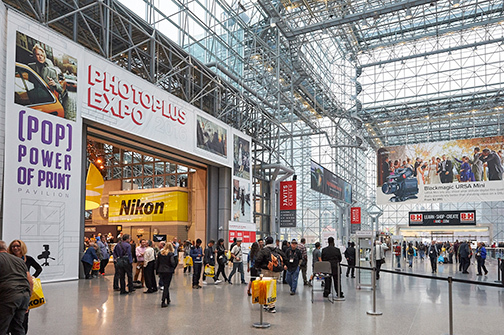 This year’s PhotoPlus Expo, held at New York City’s cavernous Javits Convention Center, was well attended and the mood was decidedly upbeat. Crowds of imaging industry folks, photo and video enthusiasts, as well as press people got to experience captivating new imaging gear. A barrage of advanced new lenses, a number of cool cameras and a fascinating array of innovative accessories were unveiled. In addition, attendees were regaled with an unprecedented number of hands-on demonstrations by top pros that showed them how to get the most out their equipment. Here are some highlights. 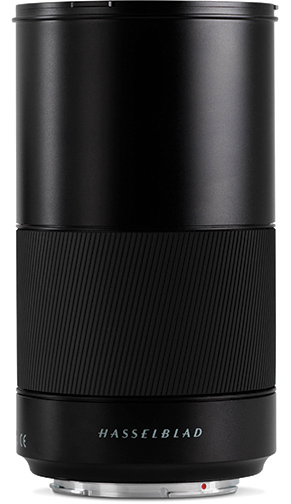 Hasselblad announced the high-performance XCD 120mm f/3.5 Macro lens. The compact, close-focusing moderate telephoto for the Hasselblad X1D gets down to 1:2 and is claimed to produce beautiful bokeh. It also has a built-in leaf shutter that delivers shutter speeds from 60–1/2,000 sec, all with full flash sync. 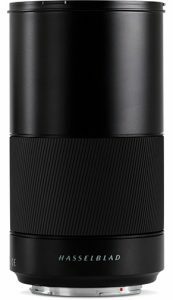 Fujifilm unveiled the XF80mm f/2.8 R LM OIS WR Macro lens for their APS-C-format X-series mirrorless cameras. The lens provides an equivalent short telephoto focal length of 120mm. Moreover, it focuses all the way down to 1:1 (life-size on sensor). It incorporates one aspheric, one super ED and three ED (extra-low dispersion) elements. In addition, it offers optical image stabilization, fluorine coating and a linear AF motor—all in a weather-sealed package. Sigma introduced a superspeed wide-angle lens. The Sigma 16mm f/1.4 DC DN Contemporary in Sony E and Micro Four Thirds (MFT) mounts provides 24mm-equivalent coverage on APS-C-format cameras as well as 32mm-equivalent coverage on MFT-mount cameras. It incorporates three FLD (fluorite equivalent), two SLD and two aspheric elements. As a result, it achieves excellent optical correction. It also features a fast, precise stepping AF motor and a rounded 9-bladed diaphragm for artistic bokeh. Its weather-sealed TSC construction maintains high performance under all operating conditions. Sigma also showed a trio of preannounced lenses in their wide-aperture Art series. 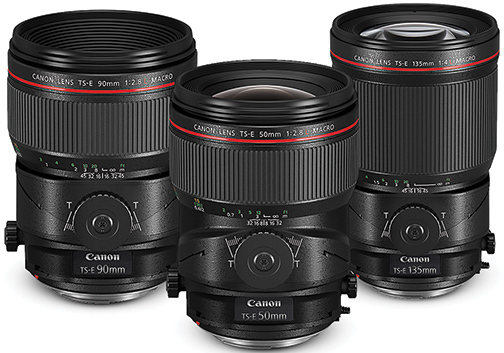 They are the 14mm f/1.8 DG, 24–70mm f/2.8 DG OS HSM and 135mm f/1.8 DG HSM Art lenses. Competition Is the Right Arm of America! Furthermore, Sigma and Tamron both showed advanced, new ultralong-range, full-frame, 100–400mm telephoto zooms. They each in clude built-in optical stabilization and rounded 9-bladed diaphragms. 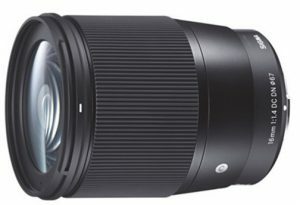 The Tamron 100–400mm f/4.5–6.3 Di VC USD and the Sigma 100–400 f/5–6.3 DG OS HSM lenses are compact and well balanced. In addition, they focus down to the near-macro range and are available in Nikon F and Canon EF mounts (the latter also comes in Sigma SA mount). These exciting new lenses are now available. Canon presented an attractive high-performance L-series lens in the sizzling superspeed medium telephoto category. The Canon EF 85mm f/1.4L IS USM, as its name implies, features built-in image stabilization (IS) and a ring-type ultrasonic AF motor (USM). A glass molded aspheric (GMo) element helps it deliver impressive image quality. Moreover, a rounded, 9-bladed diaphragm enhances bokeh. Moreover, Air Sphere and fluorine coatings plus weather resistant construction extend its operating range. Canon also brought forth an amazing trio of L-series TS-E Macro tilt-shift lenses in 50mm, 90mm and 135mm focal lengths. The 50mm TS-E f/2.8L, TS-E 90mm f/2.8L and TS-E 135mm f/4L all focus down to 1:2. Furthermore, they employ aspheric and/or low-dispersion elements to deliver impressive image quality. The lenses also provide separate, locking tilt-and-shift adjustments to enable corrections for perspective distortion. Pentax (Ricoh) announced a line of high-performance star-series lenses. These include the Pentax-D 50mm f/1.4 SDM AW high-performance, high-speed normal lens for full-frame and APS-C-format Pentax DSLRs. 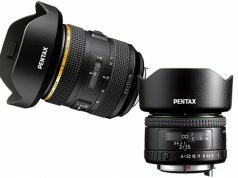 It is joined by the premium HD Pentax 11–18mm f/2.8 for APS-C Pentax DSLRs. The new 50mm f/1.4 incorporates a ring-shaped SDM (supersonic direct-drive motor) for enhanced AF speed and precision plus AW (all-weather) construction. 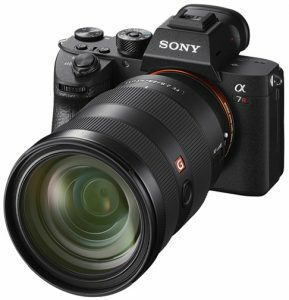 The camera that generated the most buzz at the show was undoubtedly the new tech tour-de-force Sony Alpha a7R III. It was modestly described by one of Sony’s honchos as “the best camera in current production.” It’s a doozy all right, with a 42MP, full-frame Exmor R BSI sensor coupled to an advanced Bionz X image processor and a 399-zone AF system. It is capable of a 10-frames-per-sec maximum full-res burst rate. 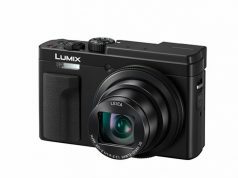 It also captures 4K UHD video at 30 fps, has a 3.69M-dot OLED electronic viewfinder and a 3-inch, 1.44M-dot, tilting touch screen. In addition, the camera boasts 5-axis SteadyShot INSIDE image stabilization and Pixel Shift Multi Shooting technology to optimize image quality. Moreover, sensitivity settings top out at ISO 102,400. At the other end of the size spectrum, Sony showed its previously announced DSC-RX0 (as in zero). 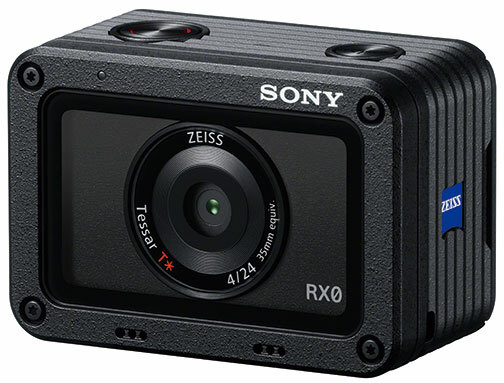 This really tiny (2.4×1.6×1.2-inch, 3.4-ounce) miniature action cam has a 1-inch, 21MP stacked CMOS sensor and a 24mm-equivalent f/4 Zeiss lens. The camera can record Full HD 1080p video at up to 60 fps internally and output 4:2:2 4K UHD video via HDMI. Other video features are time-code sync to multiple cameras, S-Log 2 Gamma and Picture Profile settings. In addition, it can be controlled via iOS or Android apps. Wow! 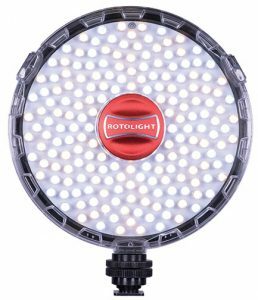 The new Rotolight NEO 2 LED light may well be a harbinger of things to come, because it meets the needs of still, video and also crossover shooters. The unit provides easily selectable flash and continuous modes so users can quickly switch from shooting stills to video without changing lights. In addition, a built-in 2.4 GHz Elinchrom Skyport receiver lets them use it as a remote flash with high-speed sync to 1/8,000 sec. Also, an optional Elinchrom Skyport transmitter extends it range to 656 feet! The NEO 2 is claimed to deliver a color temperature range of 3,150–6,300K with impressive color accuracy. It also provides a continuous output of 2,000 lux and enables an ISO 200 flash exposure of f/8, both at 3 feet. The Rotolight NEO 2 runs on six AA cells, D-Tap or AC.